From the New York Stock Exchange to the C-suite of Fortune 500 companies to bank operations, let finance pave the way. With a major in finance, there are a number of directions your career can take. Finance professionals are responsible for more than a company's need. You could be the next investment banker, wealth manager and advisor, and so much more. Finance plays a critical role for many – from banks to business to individuals. 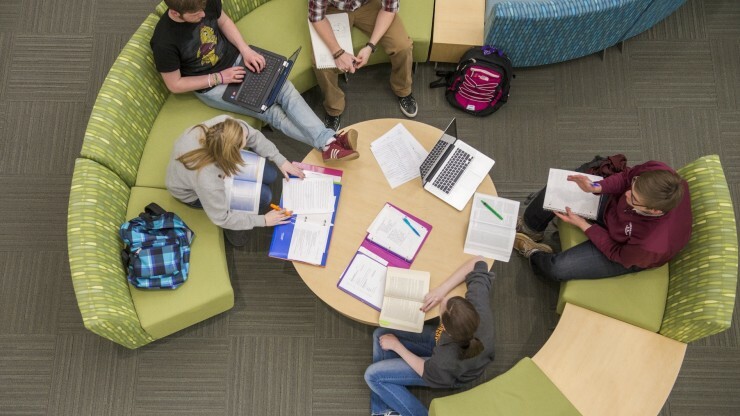 The Offutt School of Business is a great place to help prepare you for your career journey. The Offutt School’s finance program provides students with a unique, hands-on experience. You can choose from either a finance major or a business major with a concentration in finance. No matter which you choose, you’ll get cutting-edge curriculum coupled with practical application. Take classes in the Jim Parke finance lab, where you’ll use cutting-edge technology to apply finance theory to real-world problems. The lab is equipped with software used by professionals to monitor and analyze financial information. You’ll get to see finance in action through the Scheel Investment Fund. 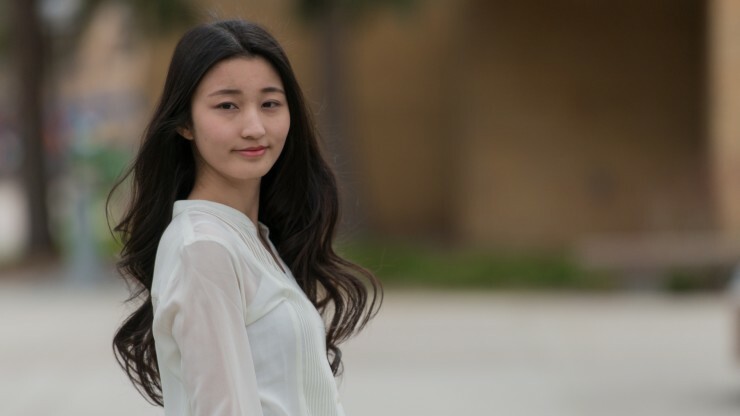 This $130,000 investment portfolio is managed entirely by finance students. As part of your finance classes, you’ll do all of the market research and make all the investment decisions for the fund. This will allow you to see your degree in action and how your skills can have an impact. You'll also participate in hands-on learning outside of the classroom through study away opportunities, internships, job shadowing, and volunteer opportunities. While Concordia is free of the crowded, intense atmosphere of the New York Stock Exchange, the Offutt School’s new finance lab offers students in the finance program the opportunity to get hands-on training in the world of stock trading. 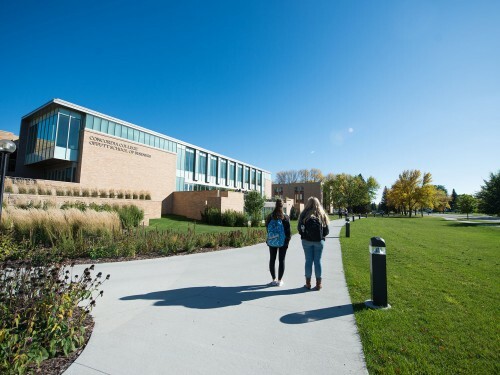 During your time at the Offutt School of Business, you’ll have access to a variety of professional finance software and tools, enabling you to learn the basics and apply them to real-world circumstances. StockTrak is a simulation that mimics, in real time, world markets. You’ll be able to invest in equity, bonds, funds and commodities using simulated money. This software allows you to learn and practice portfolio management and hedge fund strategy in a realistic environment, without the inherent risk. This application simulates a real-time market, allowing students to trade against each other and simulated traders. This tool is designed to apply finance theory to uncertain outcomes. There are many unknowns in the world and this software enables you to learn how to make decisions in the face of outcome uncertainty. These are just a few of the many innovative tools within the finance program at the Offutt School of Business. These hands-on tools allow you to learn what it will really be like in a finance career and help you prepare to become an ethical business leader. 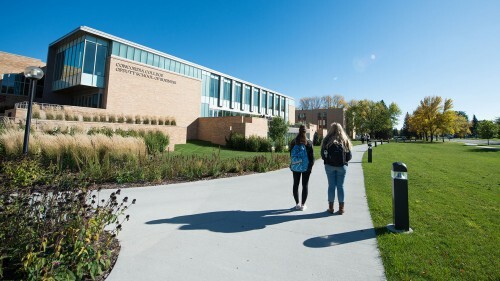 Concordia has great business programs. I was originally a business major with a finance concentration. When the finance major launched, I felt compelled to upgrade to the advanced major. 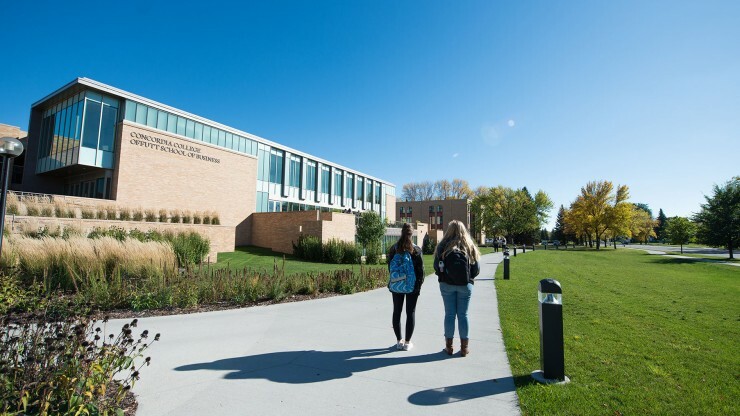 Studying finance in Concordia’s Offutt School of Business gave me the tools necessary to be capable and professional and gave me a leg up to reach my goals. Past finance graduates have become investment bankers, credit analysts, commodity traders, internal auditors and more. 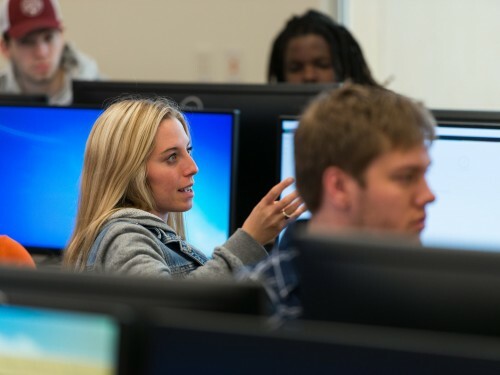 Finance students have the option to include a Chartered Financial Analyst track. Concordia is a participant in the CFA Institute Recognized University Program*, which indicates that our curriculum follows closely to professional practice and prepares students for the CFA exam. *CFA Institute is a trademark owned by CFA Institute.